FOX’s “Pitch” debuts tonight and will follow the big-league trials and travails of one fictional Ginny Baker, a “beautiful, tough and gifted athlete (who) is vaulted into instant fame when she’s called up by the San Diego Padres to make her Major League debut,” as FOX’s PR arm puts it. First off, kudos to FOX’s crack promotional team for its precise, realistic language here: I remember reading the BP post when the Braves called up Dansby Swanson and the writer referred to Swanson as a “ruggedly handsome, tough, potential four-win player.” Yay, equity! Baker’s battery mate is a bearded Mark-Paul Gosselaar, whose agent has clearly given FOX strict instructions as to how to market their client: on Hulu, Gosselaar’s previous work is listed as “Franklin & Bash” and “NYPD Blue,” which can only mean that the erstwhile Zack Morris must have “time-outed” right after seeing any mention of “Saved by the Bell” and rectified that right quick. Time in! 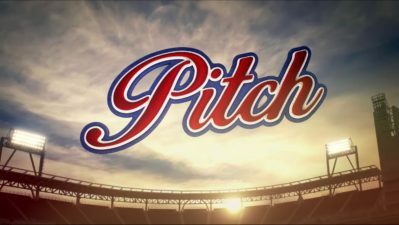 “Pitch” is the first television show that bears the imprimatur of Major League Baseball and its debut is particularly timely after the Sonoma Stompers signed Kelsie Whitmore and Stacy Piagno, just the third time a United States professional baseball team has carried women on its team since the ’50s. For a primer on “Pitch” that includes interviews with showrunner Kevin Falls and Whitmore and Piagno, who talk about their time on the Stompers and their thoughts on the show, listen to The Ringer’s baseball podcast from Tuesday. I’ll be recapping “Pitch” here on Banished to the Pen, most likely some time on Friday because I don’t have the cable. I don’t have too much of a format in mind quite yet, but there will certainly be a weekly “Reality Check” segment where we can investigate the show’s baseball verisimilitude. The first “Reality Check” will feature a quick dissection of FOX’s three-minute trailer for “Pitch,” which premiered on May 16 and has racked up 2.6 million views on YouTube. The “Pitch” team have handled one of the trickier questions about a potential female MLB pitcher — how would a woman be able to get elite hitters out without premier velocity? — by giving Ginny a secret weapon: the vaunted screwball. The screwball is an interesting choice: it’s not nearly as gimmicky as a knuckleball, say, but it’s exotic-seeming enough to feel like a somewhat conceivable secret weaon. Here’s Ginny’s father, Bill Baker, unveiling (via flashback) his daughter’s soon-to-be out pitch. The reason the screwball feels exotic? It’s simply an old name for one of baseball’s most common pitches: the circle change-up. As Owen Watson detailed exhaustively for FanGraphs, the search for the “modern screwball” basically brings us back to the circle change. The screwball still exists, simply under another name. Later in the trailer, we see Bill demonstrate the screwball grip to Ginny using an apple. What’s the secret to a screwball? Grip it exactly like a circle-changeup, apparently. These are early days for “Pitch,” of course, and it’s hard to get too riled up about a brief flashback scene from a show’s pilot trailer. But it appears that our heroine’s super-secret trick to getting out major-league hitters is to throw a circle change. I guess we’ll see how it works.